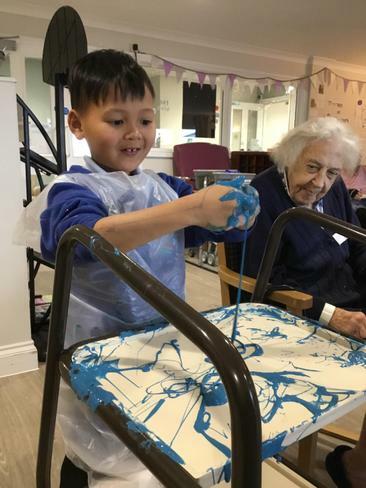 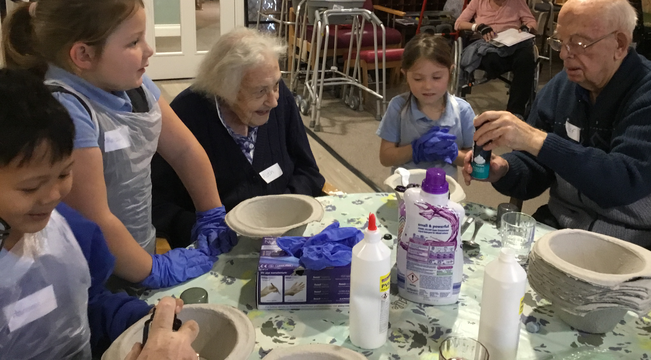 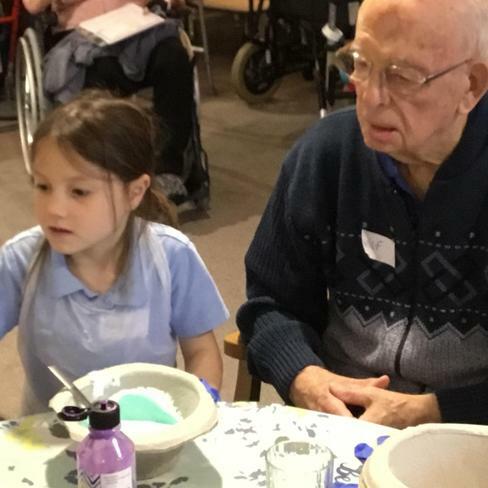 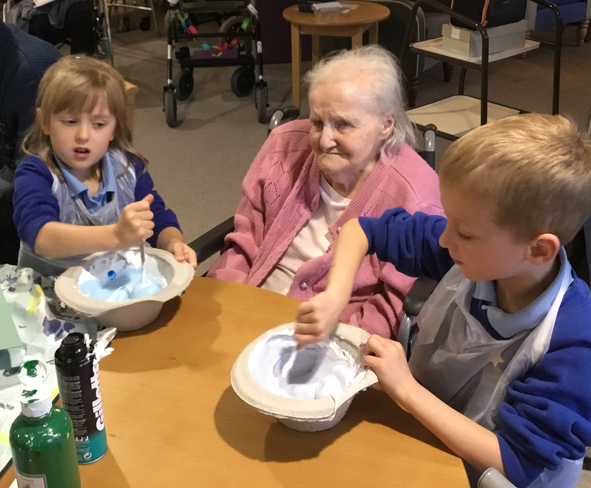 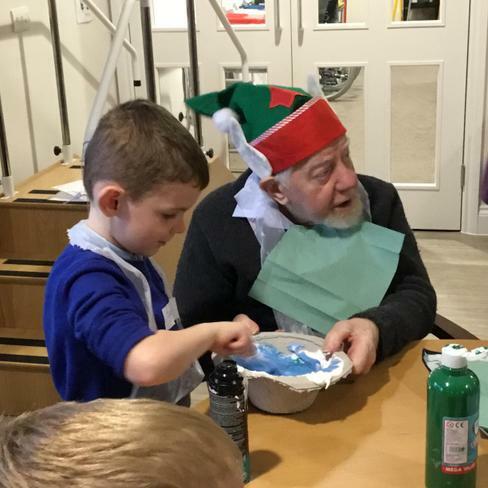 Six Year 1 and 2 children visited Skylark ward at The Meadows to meet some of the residents and make some slime. 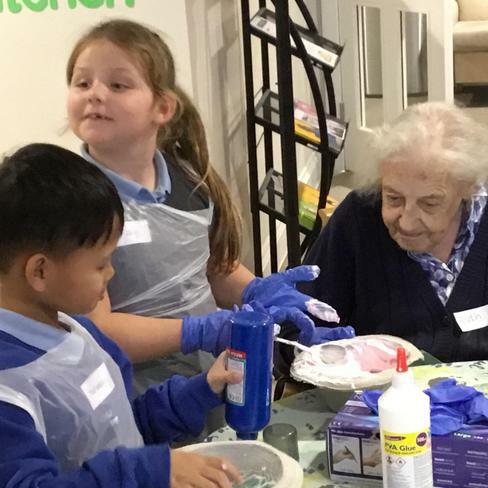 The children were wonderful ambassadors for Tyndale, working so well with their partner in slime, choosing colours and working together to create their their sticky slime. 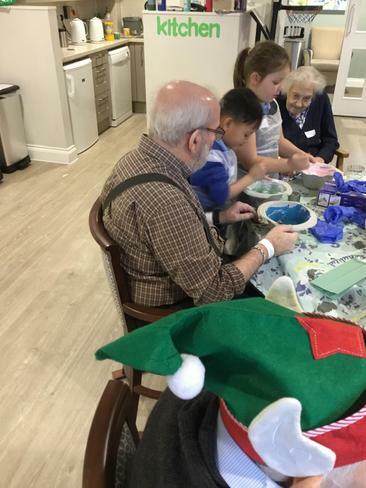 Everybody seemed to have such a good time. 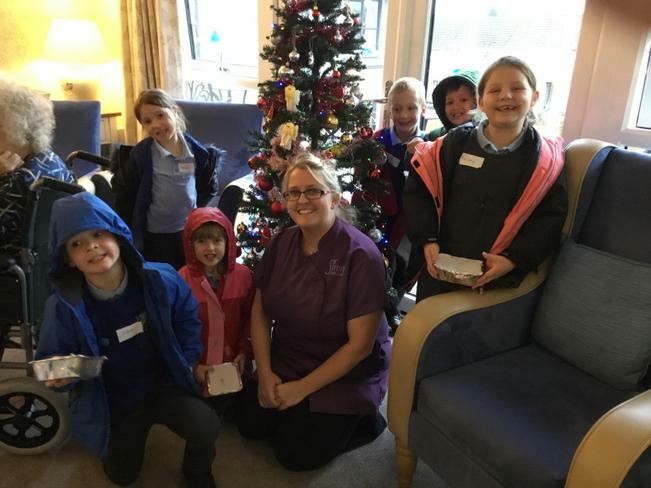 Hannah, who organised the event for us, was so impressed by how caring and respectful the children were. 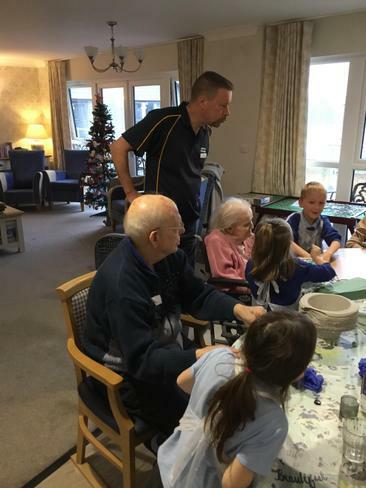 We look forward to arranging more visits to The Meadows to meet with more of the residents in the future.